However, as the bellwether of developing countries, China should vigorously promote changes in the global economic governance system to better reflect changes in the international political and economic order, enhance the representation and voices of emerging and developing countries, and protect the interests of the least developed countries from being impaired. In terms of development governance, China has accumulated abundant experience in the past 40 years of rapid growth. Since the international financial crisis in 2008, China has been the biggest contributor to global growth, contributing more than 30 percent, which has won high recognition from the international community. Kim Yong, then president of the World Bank, expressed at the G20 Hanghzou Summit that many countries wish to learn from China’s experience and make remarkable achievements in a short time, that China’s experience is being widely discussed, studied and is exerting influence on many countries’ policies and reforms. The journey China has traveled shows that the right reforms generate quick results in poverty reduction, job creation and increasing income. So China’s experience is greatly relevant and inspiring to developing countries. 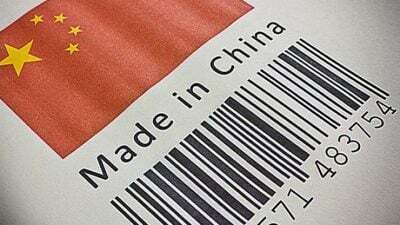 China is now making changes to the mode of economic development, transforming the manufacturing-, exports- and investment-driven economy to one that is propelled by innovation, service industries and high-tech manufacturing. These endeavors could also provide reference to those struggling with economic upgrading and sluggish internal growth drivers. Taking development governance as the focus of increasing China’s voice in international institutions can not only fully demonstrate its status as a developing country, but also show its strengths as a major developing country. The Belt and Road Initiative (BRI) is the solution proposed by China to current challenges the world faces. The initiative aims to make economic globalization more inclusive and beneficial to all, and promote win-win cooperation and common prosperity of all participating countries. Its global appeal has made this initiative far transcend regional cooperation, and has made it an important approach to fostering new growth drivers, promoting changes in global governance and building a community with shared future for mankind. First, the BRI boosts development and innovation in global governance philosophies. At the sixth ministerial meeting of China-Arab Cooperation Forum, President Xi Jinping put forward the Silk Road Spirit of peace, cooperation, openness, inclusiveness, mutual learning and mutual benefit and the principles of wide consultation, joint contribution and shared benefits that the BRI should uphold. The Silk Road Spirit deals a blow to some countries’ unilateralism and protectionism and sets up an example for countries to engage in global governance with a new philosophy. Second, BRI produces new achievements in major areas of global governance. In policy coordination, countries are synergizing development strategies. By the end of 2018, China signed BRI cooperation agreements with 122 countries and 29 international organizations. In infrastructure connectivity, many major achievements have been made covering railways, roads, ports, aviation, pipelines and information expressways. In trade facilitation, the Initiative on Promoting Unimpeded Trade Cooperation along the Belt and Road is being executed and generating tangible results. In 2018, total volume of trade in goods between China and BRI countries reached $1.3 trillion, up 16.3 percent year-on-year and 3.7 percentage points higher than China’s foreign trade growth in the same period. In financial sector, financial cooperation is deepened and the Asian Infrastructure Investment Bank (AIIB) and the Silk Road Fund are playing more important roles. In the first three years of operation, AIIB granted $7.5 billion in loans and boosted nearly $40 billion investment in infrastructure. In the four years of the Silk Road Fund’s existence, it pledged investments of $10 billion and completed capital increase by 100 billion yuan ($14.9 billion). In people-to-people connectivity, fruitful cooperation is being implemented in education, culture and tourism with many specific plans in place. Last but not least, the BRI has enhanced coordination and innovation of global governance mechanisms. The BRI has consolidated existing mechanisms by promoting dialogue and interactions at various bilateral, regional and multilateral systems. The BRI has made innovations to the system by creating new highlights, such as the Belt and Road Forum for International Cooperation, the China International Import Expo, to build more platforms for dialogue and cooperation. Xu Xiujun is senior researcher of the National Institute for Global Strategy and Institute of World Economics and Politics, Chinese Academy of Social Sciences.